People flying on major airlines made 681 complaints in January about mishandled wheelchairs or scooters, according to new disclosures that the airline industry made to the Department of Transportation (DOT). Federal regulations have long required that airlines publicly disclose lost luggage, injured or killed pets, and on-time performance on a monthly basis. But complaints of lost or damaged custom wheelchairs, which airlines often stow away in the cargo hold of planes, weren’t part of those reporting requirements until recently. In December, changes made by the Obama administration to address wheelchair complaints from fliers finally went into effect. 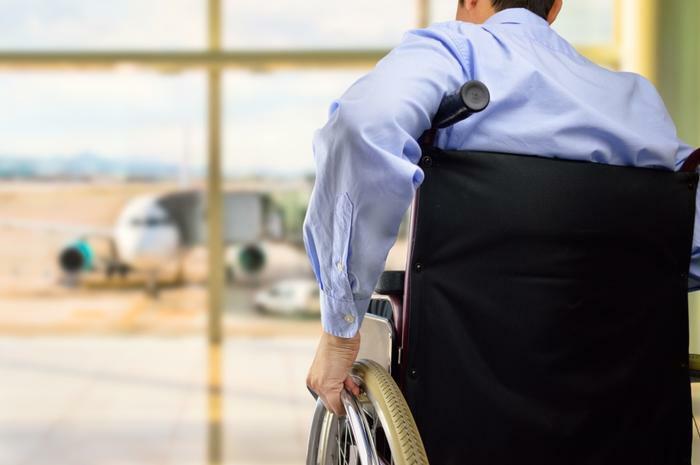 Newly released figures from the DOT show that passengers made 701 wheelchair complaints in December and 681 complaints in January, the most recent month for which data is available. In January, American Airlines received 167 complaints related to mishandled wheelchairs, out of a total of 2,835 wheelchairs it transported. That represents a complaint rate of 5.89 percent, the highest among major airlines. The figure is slightly better than December, when American Airlines reported a complaint rate of 7.22 percent. Southwest Airlines came in second for wheelchair mishandling complaints in January, with 4.09 percent of fliers who traveled with wheelchairs or scooters reporting a problem. Delta had the lowest rate, reporting only 107 complaints out of 12,670 wheelchairs or scooters it transported. Wheelchair users say that air travel has become more difficult for the disabled in an era of shrinking seats and overbooking. One recent government audit found that disability-related complaints on airlines doubled between 2005 and 2015.